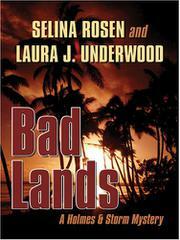 A blood-soaked island is the eerie setting for a series of gruesome murders. Maggie Holmes, semi-retired forensic pathologist and investigator of the paranormal, has long been denied access to Knight Island, the scene of two violent murder sprees 20 years apart. When she learns it will be the setting for the reality show Chicken Out, she signs up without the knowledge or consent of her friend Vivian Storm, a police sketch artist and lesbian psychic bartender with a foul mouth and a roving eye. Vivian’s not eager to pass herself and Maggie off as a couple, but she gives in for a chance to split the million-dollar prize. The group also includes two cooks, island owner Franklin Knight, a buff blond couple, a bouncer and his well-endowed girlfriend and a pair of New Agers draped in crystals, each of them to be captured by motion-activated cameras placed all over the island. The hopefuls have hardly settled into the decrepit hotel when one of the cooks is murdered and the boats scuttled, marooning the contestants with a brutal killer. Maggie’s forensic skills and Vivian’s ability to see what the victims saw as they faced death are stretched to the limit as an ever more sadistic killer sends the body count skyward in this grisly debut. A down-market takeoff on And Then There Were None. Not for the faint of heart.